Can plants extract slow down your ageing? 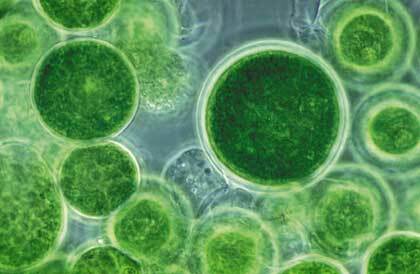 The bioavailability and metabolism of chlorophyll is still not well understood. The known facts are that it acts as an antioxidant in the body and is able to block the absorption of the carcinogen by forming a molecular complex too large to be assimilated in the small intestine. According to Michael Simonich of the Linus Pauling Institute, the chlorophyll’s effect as an antioxidant can help to suppress cancer cell growth. Taking chlorophyll before or at meal-time greatly reduces the carcinogenic effects of food (carcinogens are various chemical resulted from pollution and found in the air as well as in meat which has been overcooked and in fungus-contaminated nuts and grains). As Michael Simonich of the Linus Pauling Institute points it out, researchers found that chlorophyll is effective in aiding in cancer treatment by suppresing cancer cell growth because Chlorophyll blocks the metabolism of procarcinogens that damage DNA. A study from Oregon State University (OSU) has confirmed that chlorophyll protects against the formation and growth of tumors by blocking cellular uptake of the carcinogen aflatoxin. The study found that chlorophyll administration under the exposure of fairly moderate levels of a known carcinogen reduced the number of liver tumors in trout by 29-64 percent, and stomach tumours by 24-45 percent. Researches for OSU believe that aflatoxin exposure in one region of China caused death to ten percent of its inhabitants from aflatoxin-induced liver cancer. 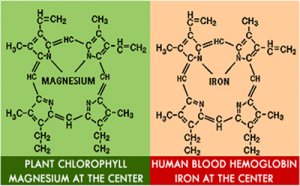 The strength of chlorophyll was demonstrated by another study in eastern China where, because of the contaminated grains and nuts, many people suffered from liver damage and cancer. After supplementing with chlorophyllin at 300mg (100mg three times daily), the incidence of liver cancer among that population decreased significantly. Supplementation of chlorophyll is fairly easy. Chlorophyll based PhytoLife is natural plant-derived formula which includes Barley Juice extract and Alfalfa juice extract. As a powerful complexer, PhytoLife supports the natural blood-cleansing process, cleanses intestinal systems and the body. It will help you boost the body’s natural antioxidant protecting healthy cells.